I found several right news articles about President Arbenz in the early 1950’s in the ProQuest Historical Newspapers database. Two were from the Christian Science Monitor and one was from the LA Times. These are great articles for my research because they describe the president and his goals for Guatemala at the time. They also give a good US POV of Guatemala shortly before the CIA invasion. I also found a picture of M.S. 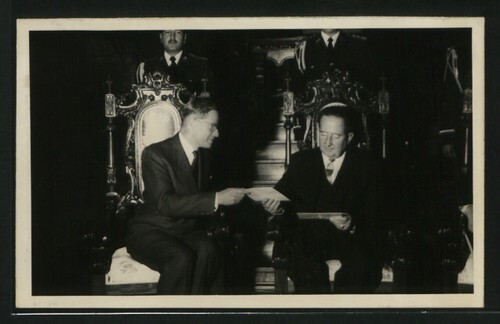 Williams and the Guatemala President, General Ydigora in Gautemala from May of 1960. Its not directly related to my research but its getting to the time period that I’m looking for.